Adaptive Home Logic is an advanced, highly flexible, easy to use home automation / remote access application that can seamlessly coordinate and control home lighting, HVAC, security and home theatre systems from your Windows computer. 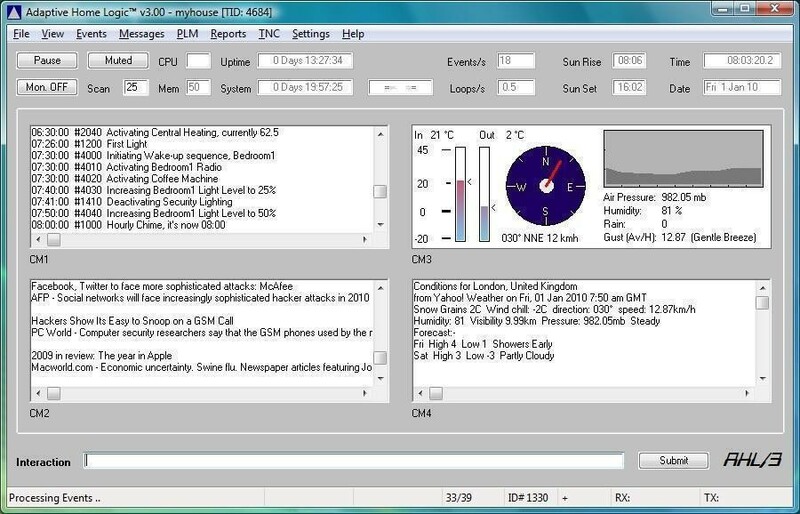 Includes 2-way support for X10 and the latest UPB powerline modules, Prioritised TTS speech, SMS remote access facility, RSS News & Weather Feeds + more! Home Theatre Database is a scalable and easy to use database for the complete organization of the Home Theatre enthusiast's movie collection. Sunray TV's remoteRay is powerful software enabling the remote access and control of any Mac desktop,� Stingray system, or Orca Home Gateway.